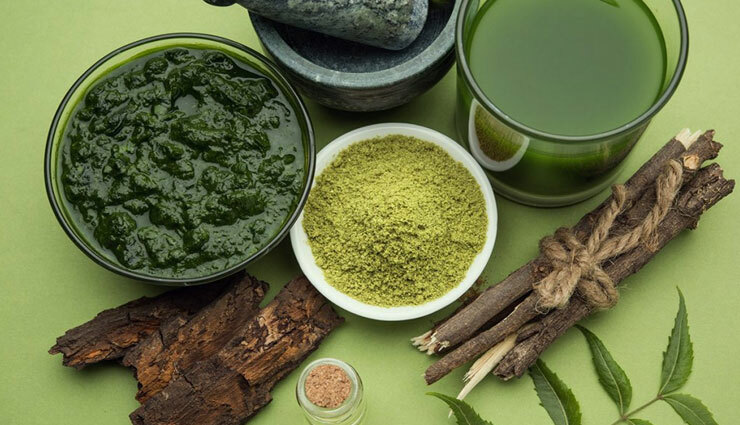 Neem oil is chock full of carotenoids and antioxidants that help protect your skin against the ravages of free radicals, which cause signs of aging such as wrinkles and age spots. Using neem oil for face or including neem powder in face packs soothes the skin thereby reducing the effects of aging. For any type of skin, at any time neem extract provides excellent moisturizing and healing benefits. It is rich in vitamin E and fatty acids that help improve skin elasticity and provide and retain moisture. Neem oil works as an anti-inflammatory and stimulates circulation, it helps treat the scalp and promote healthy hair growth. Condition your scalp by applying neem oil combined with coconut oil or olive oil directly to the scalp prior to washing. Massaging the oil into your scalp will also help increase blood circulation and open up pores, which may help stimulate hair growth. By combining a few drops of neem oil and a couple of tablespoons of olive oil or coconut oil you can create an effective, affordable, all-natural hot oil application to assist and correct dry hair and split ends. You can boost the effectiveness of your OTC anti-fungal cream by adding a few drops of neem seed oil, or you can simply try using neem oil on its own to fight ringworm, athlete’s foot and nail fungus. Understand that you must use pure neem consistently and over a long period of time to see positive results in fighting off fungus. Neem has antifungal properties that prevent and treat common fungal skin infections like ring worms, athletes foot and nail fungus. 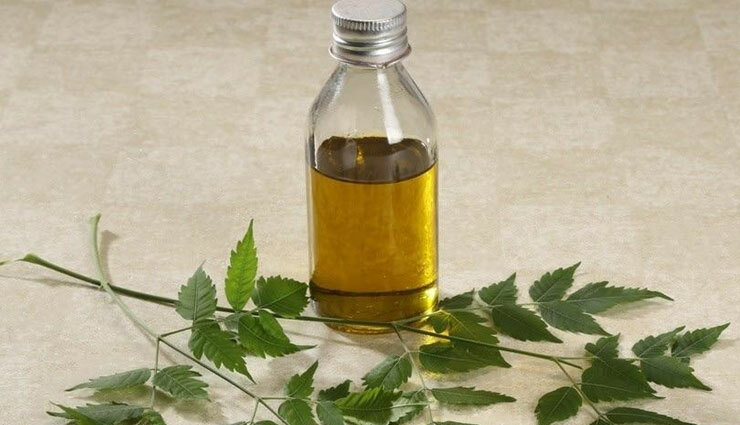 The two compounds, namely gedunin and nimbidol, present in neem oil destroy the fungi that cause skin infections. It is proven that neem oil is effective in 14 different cultures of fungi. Regular application of diluted neem oil removes blackheads and prevents their re-occurrence. Do not apply pure neem oil directly on face. Add 2-3 drops of oil to water and use the diluted solution to get rid of blackheads. Neem has immune boosting properties. That is the reason some patients affected by cancers, especially breast cancer, consume neem in the form of oil or capsules as a part of the treatment. 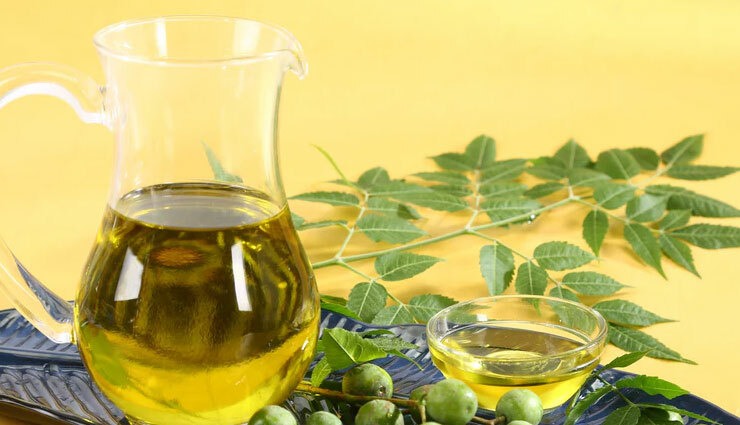 Medicinal qualities of neem shield the body from the action of antibodies.Though effective, neem oil and tablets should be consumed by cancer patients only after consulting the doctor. Neem oil restricts the grounds for mosquito breeding by repelling them with its odor and effect. Adding neem oil to water containers in mosquito-infested areas discourage mosquitoes from breeding in that area. Note : The appropriate dosage of neem is based on a person’s health, age and medical condition. It is advisable to consult your doctor before using neem oil, particularly in case of children and pregnant women. Though there are no proven side effects.